This Condition contributes to 800,000 suicide deaths yearly. Also, 4,894,557 Nigerians, that is 2.7 per cent of the population, suffer anxiety disorders. The country is closely followed by Ethiopia with 4,480,113 sufferers, that is 4.7 per cent of her population; Democratic Republic of Congo with 2,871,309 sufferers (3.8 per cent); South Africa with 2,402,230 sufferers (4.6 per cent); and Tanzania with 2,138,939 sufferers, that is 4.1 per cent. Seychelles has the lowest number of depressed persons with just 3,722 that is 4.0 per cent. Depression is the leading cause of disability worldwide, and a major contributor to the overall global burden of disease, according to WHO. Depression can lead to suicide, which is the second leading cause of death in 15 – 29-year- olds globally. Consequently, the condition can lead to more suicide cases in the country. According to the global health agency, depression is also the major contributor to suicide deaths (about 800 000 per year). 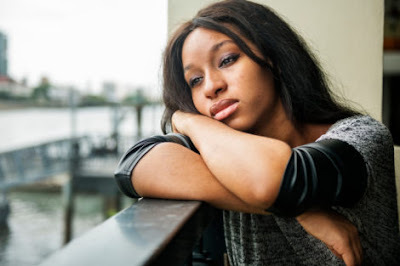 Why are Nigerians most depressed in Africa? “The number of persons with common mental disorders globally is going up, particularly in lower-income countries, because the population is growing and more people are living to the age when depression and anxiety most commonly occurs,” the WHO explained. Who is most likely to get depressed? “Although depression can and does affect people of all ages, from all walks of life, the risk of becoming depressed is increased by poverty, unemployment, life events such as the death of a loved one or a relationship break-up, physical illness and problems caused by alcohol and drug use,” the WHO noted. To address the issues of depression and anxiety disorders, the Lagos University Teaching Hospital (LUTH) has introduced LUTH-Suicide Research and Prevention Initiative (SURPIN) and its “ONE 1 MORE DAY” campaign aimed at reducing suicide deaths.